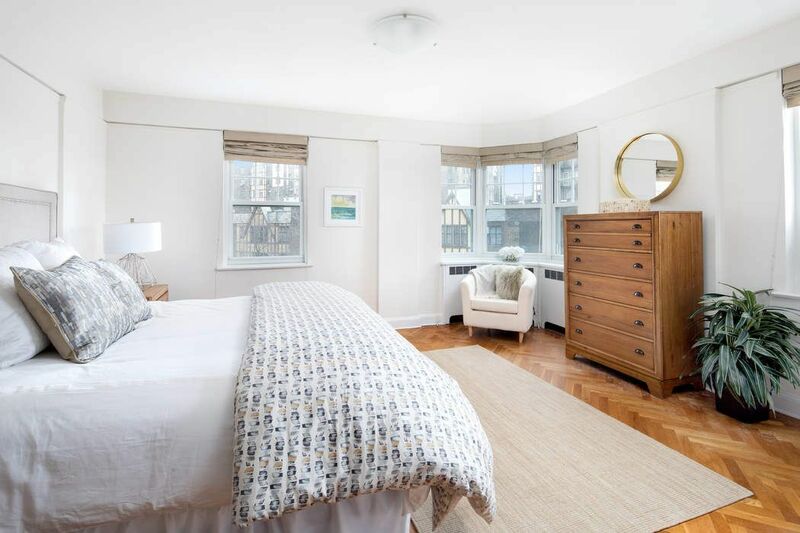 120 Cabrini Boulevard Apt 86/87, New York, NY 10033 | Sotheby's International Realty, Inc.
$1,895,000 4 Bedrooms4 Full Baths2,220 sq. ft. 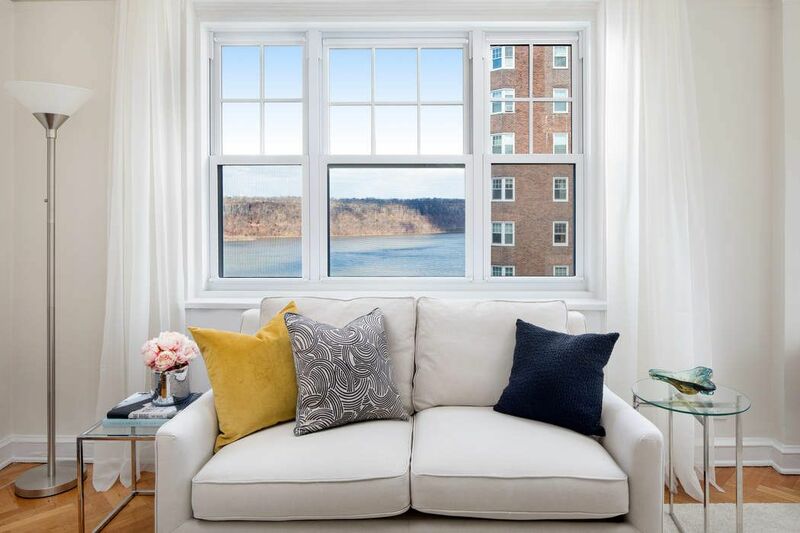 This sprawling four bedroom, four bath corner apartment with direct Hudson River views and exceptional light is beautifully situated atop the prestigious Castle Village enclave. Sun-flooded with north, west and east exposures from 22 large windows, this combined 86-87 line is one of the largest apartments in the cooperative with ~2,200 square feet of pre-war beauty. A gracious entry gallery opens to a grand living room featuring a bright corner exposure and direct river views. The dining room also has direct river views and opens to a spacious and light-filled windowed eat-in kitchen with breakfast room. 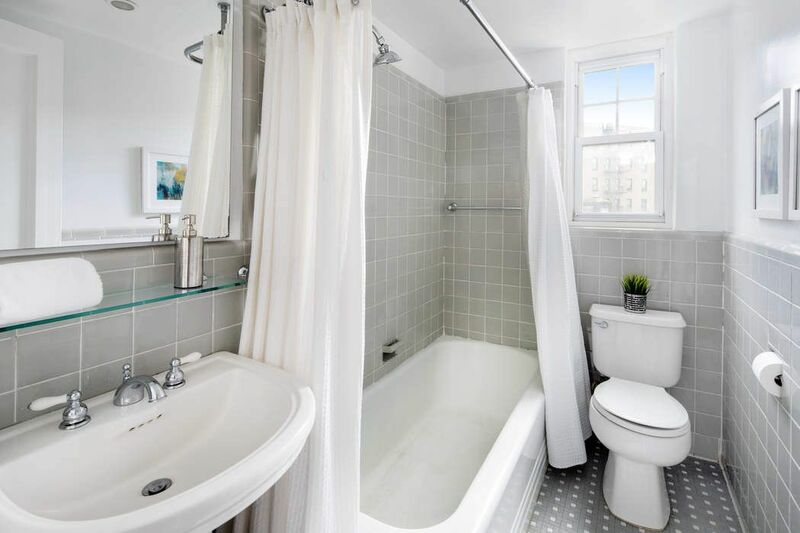 Each of the four bedrooms is grandly scaled with abundant closet space and each has its own full windowed bath. 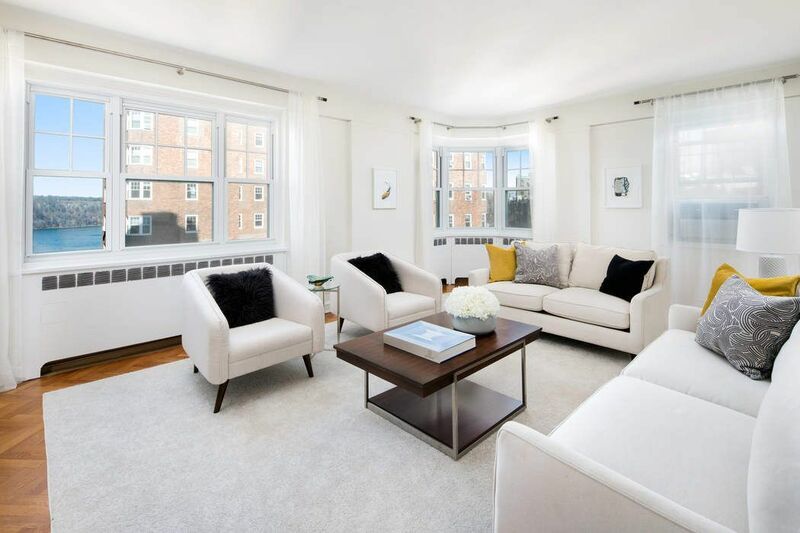 Pre-war details include original herringbone hardwood floors, crown moldings and high ceilings. A washer/dryer and ten closets are additional features. 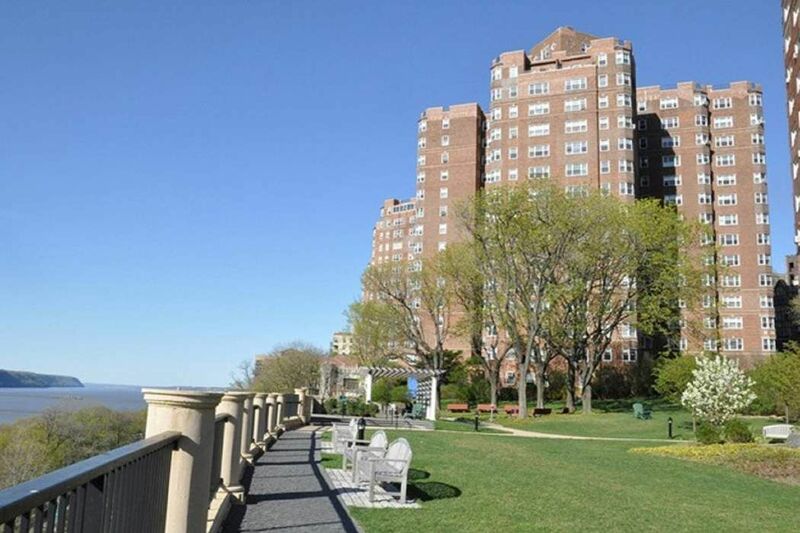 Originally designed by George Fred Pelham in 1939, this five-building co-op complex is nestled on 7-1/2 acres of lush, landscaped grounds including community gardens, picnic areas, park benches, walking paths, and playgrounds in a bucolic setting. 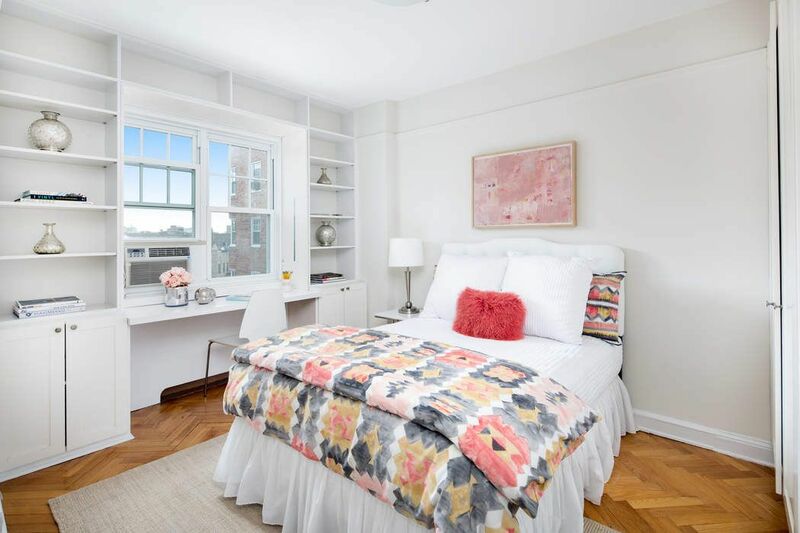 Building amenities include a doorman, live-in superintendent, porters, on-site management, private storage, bike room, fitness room, laundry, community room and parking garage. 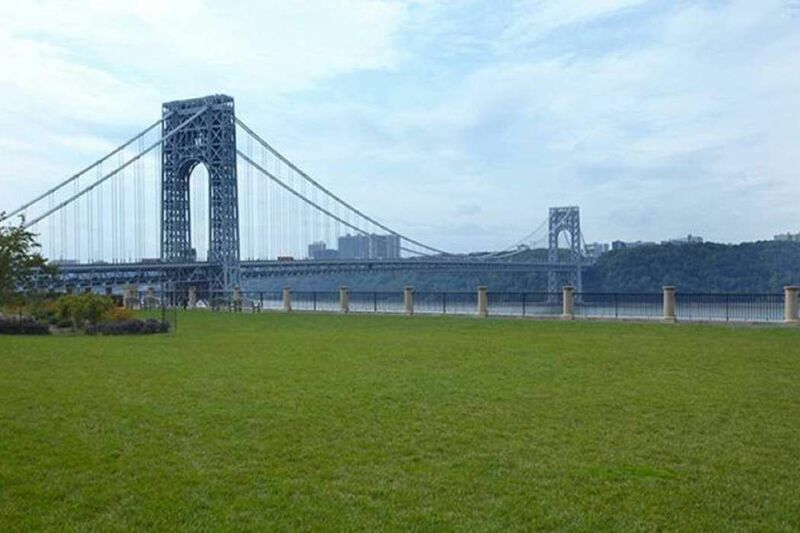 This special enclave is located just 20 minutes from midtown Manhattan via the A or 1 express trains, and is proximate to some of the City's best restaurants and culture. Pieds-a-terre and pets (one dog) are permitted. Maintenance includes on-going monthly assessment of $75. 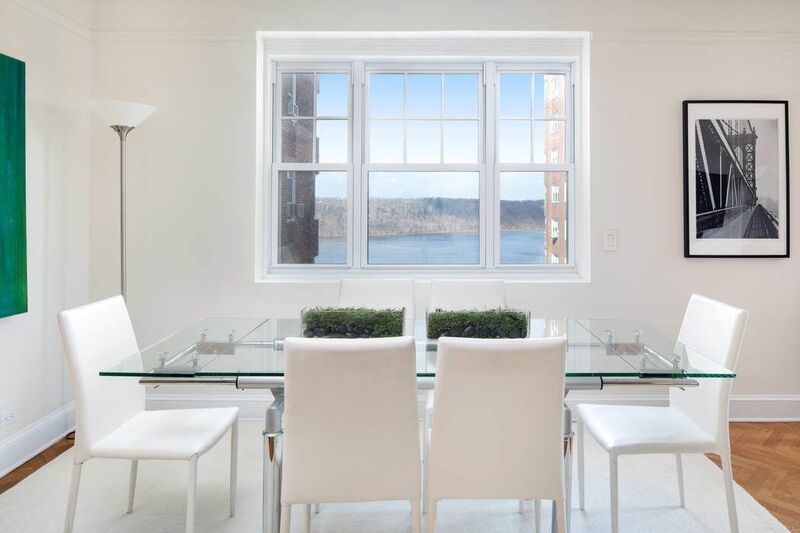 This sprawling four bedroom, four bath corner apartment with direct Hudson River views and exceptional light is beautifully situated atop the prestigious Castle Village enclave. 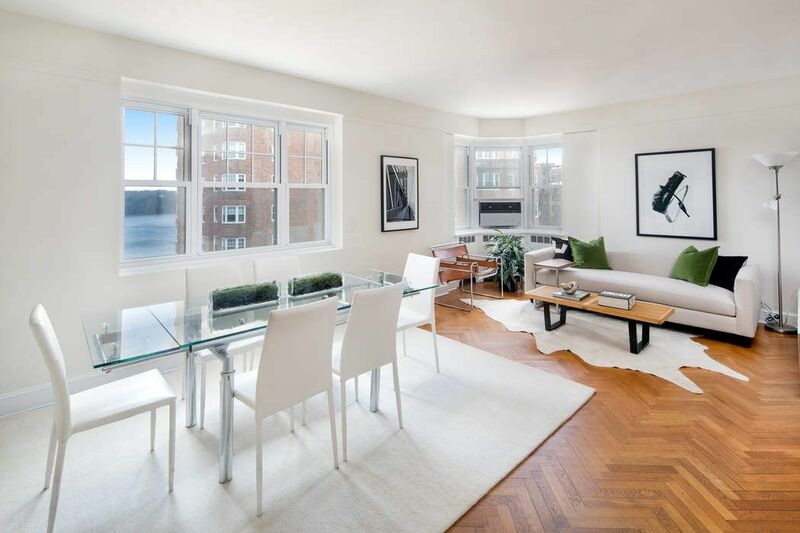 Sun-flooded with north, west and east exposures from 22 large windows, this combined 86-87 line is one of the largest apartments in the cooperative with ~2,200 square feet of pre-war beauty.A gracious entry gallery opens to a grand living room featuring a bright corner exposure and direct river views. The dining room also has direct river views and opens to a spacious and light-filled windowed eat-in kitchen with breakfast room. 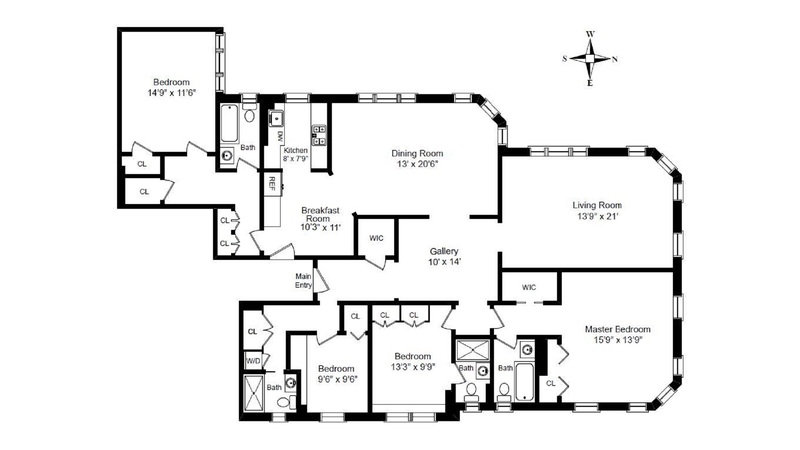 Each of the four bedrooms is grandly scaled with abundant closet space and each has its own full windowed bath. 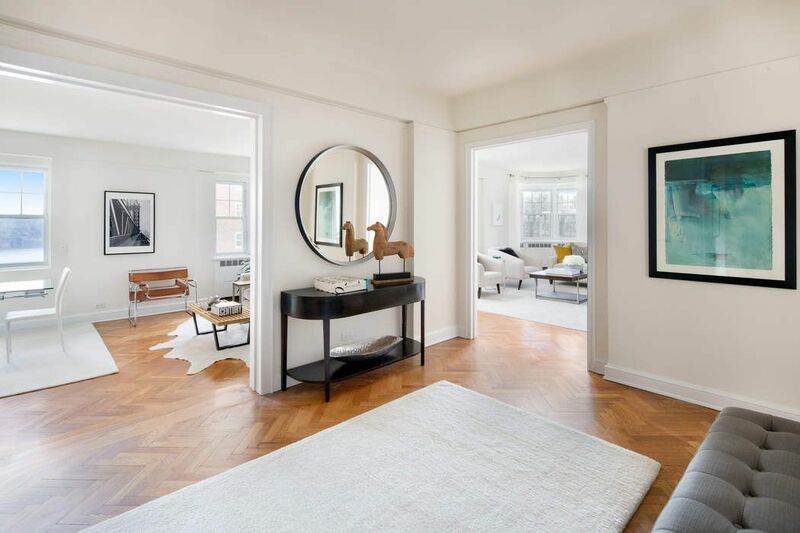 Pre-war details include original herringbone hardwood floors, crown moldings and high ceilings. A washer/dryer and ten closets are additional features.Originally designed by George Fred Pelham in 1939, this five-building co-op complex is nestled on 7-1/2 acres of lush, landscaped grounds including community gardens, picnic areas, park benches, walking paths, and playgrounds in a bucolic setting. 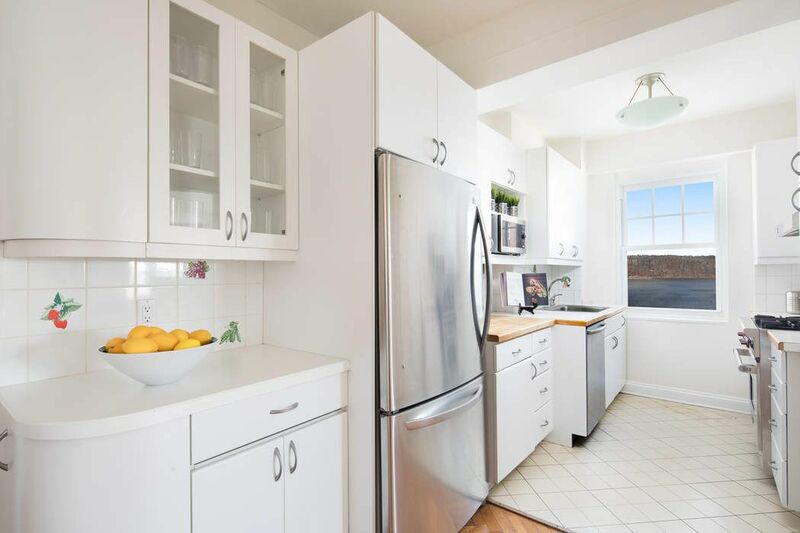 Building amenities include a doorman, live-in superintendent, porters, on-site management, private storage, bike room, fitness room, laundry, community room and parking garage. 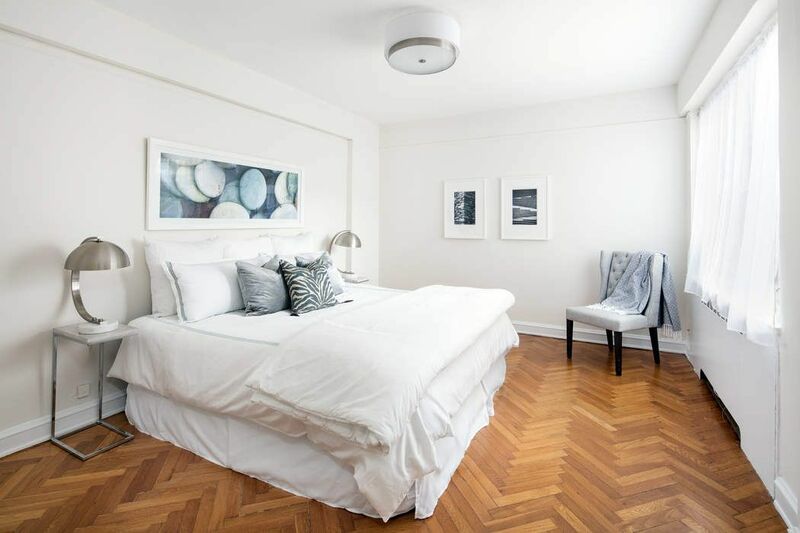 This special enclave is located just 20 minutes from midtown Manhattan via the A or 1 express trains, and is proximate to some of the City's best restaurants and culture. Pieds-a-terre and pets (one dog) are permitted. Maintenance includes on-going monthly assessment of $75.